Along with the announcement of IP67 certified Sony Xperia go, Sony announced another new waterproof droid today: Xperia acro S. Its slightly less rugged than Xperia go. The Sony Xperia acro S covers the IP57 rating requirements for dust and water resistance. But if you look at the feature list then you must be impressed. The Sony Xperia acro S has a large 4.3” HD Reality display with 720p resolution. The display of the Xperia acro S is covered by a reportedly shatter-proof, scratch resistant glass of unknown make and it supports the wet finger tracking technology. Sony used this technology earlier in Xperia Active. 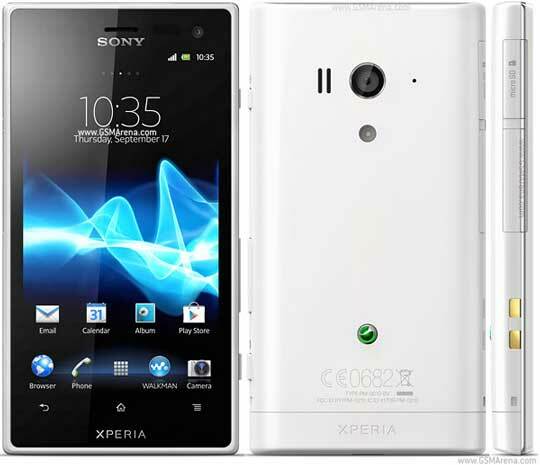 The Xperia acro S has a 1.5Ghz dual core Snapdragon chipset and Ice Cream Sandwich will be on board right from the launch. There's 1 gig worth of RAM and 16GB of on-board storage. The camera on the back uses a 12MP Exmor R sensor and has a f/2.4 aperture and records 1080p Full HD video. A 720p 1.3MP camera is on the front. The Xperia acro S also has an HDMI port and NFC support. The location services offered by the smartphone's GPS are additionally augmented with support for the GLONASS satellite positioning system. The Xperia acro S will be available in black, white and pink colors. It will be available worldwide from Q3 2012. There is no word about Sony Xperia acro S pricing yet.